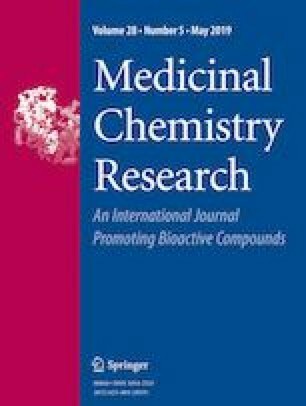 Our last study revealed the distinct antiplasmodial and antitrypanosomal activities of 1-benzyl tetrahydropyridin-4-ylidene pyrrolidinium salts. Therefore, we prepared a series of new 1-benzyl tetrahydropyridin-4-ylidene ammonium salts with an alternative amino residue and varying substitution patterns at the benzyl group to investigate the influence of these modifications on the biological activities. All new compounds were characterized by spectroscopic methods like ultraviolet, infrared, nuclear magnetic resonance, as well as high- resolution mass spectra. They were tested for their activities against Plasmodium falciparum and Trypanosoma brucei rhodesiense as well as for their cytotoxicity against L6 cells using microplate assays. The results show that the structure of the amino residue as well as the substitution pattern of the benzyl group influences the biological activities distinctly. Physicochemical parameters are calculated and structure–activity relationships are discussed. The online version of this article ( https://doi.org/10.1007/s00044-019-02331-7) contains supplementary material, which is available to authorized users. All protocols and procedures used in both in vivo studies were reviewed and approved by the local veterinary authorities of the Canton Basel-Stadt.